Merrion Cricket Club is interested in recruiting a Director of Youth Cricket for the coming season. 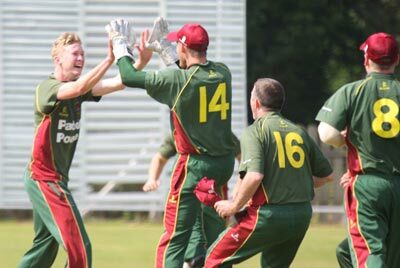 Merrion cricket club is one of Ireland’s largest and most diverse cricket clubs. We have a growing and thriving Youth Cricket section with around 150 boys and girls regularly training and playing matches. We are looking to take the Youth section to the next level by growing the player base, providing coaching for players of all standards and creating the platform for high performance players who will go on to play representative cricket for Leinster and Ireland. Our aim in doing so is to provide a top class environment for the development of the next generation of young cricketers in Ireland. We are looking for an experienced coach who can orchestrate the large number of resources to create a high performance, enjoyable culture. The role of the Director of Youth Cricket is to oversee the total programme of youth cricket in the club and to orchestrate all the resources of the club to deliver our goals. Anyone interested in the role should be aware that training takes place for younger kids on Saturday and Sunday mornings. The successful candidate must be able to meet all statutory and other requirements relating to child safety. He or she must also hold at least a Level 2 coaching qualification or the equivalent. There is a very competitive salary and performance related bonus to cover the full season from beginning April to end August, plus the opportunity to supplement this salary through paid 1:1 coaching.